We've been looking forward to TEEN’s Sonic Boom-produced debut, In Limbo (out August 28 on Carpark Records), for a while now. Mixing disparate influences to create lush, experimental pop, the Brooklyn-based band floats from florid dreamscapes to immediate hooks. 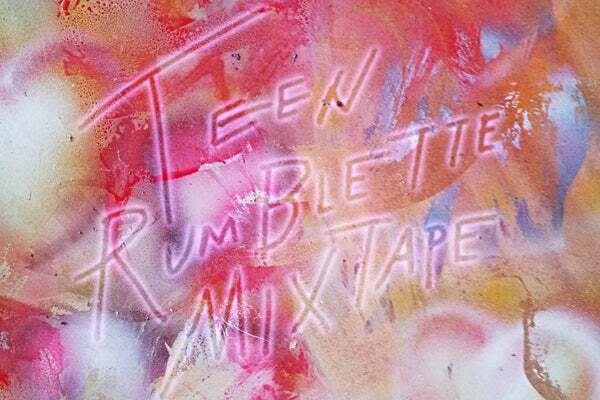 In anticipation of its record, TEEN has put together the aptly eclectic Rumblette Mixtape, which channels the band's gossamer textures through artists ranging from Suicide to Laurie Anderson. “Making a mixtape is the perfect opportunity to do something different, with no rules. The challenge of taking things that don't make sense instinctually and then making it work is so exciting. Like pairing 702 and Aphex Twin. Outkast and Wang Wei (poet). It creates an off-kilter feeling that seems like you're stuck in a dream. Kind of like being in love in the summer." As a bonus, New York fans can leave your favorite summer love song in the comments, and one lucky winner will receive two tickets to TEEN’s upcoming show at (le) Poisson Rouge tomorrow night, with Dean Wareham playing Galaxie 500. Enjoy! We'll pick the winner at 6 p.m. tonight!